﻿This volunteer choir of approximately 25 voices includes a professional soprano section, leader/soloist and four balanced sections of experienced choral singers. 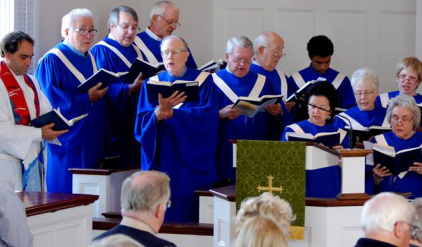 They lead the congregational singing at each Sunday worship service as well as provide an anthem. A second anthem may be offered each week by a soloist or an instrumentalist.